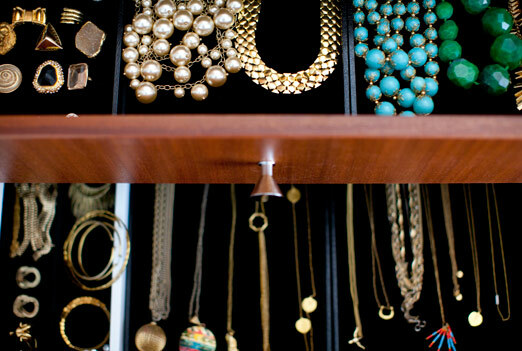 Along with most girls, I love organizing my jewelry! 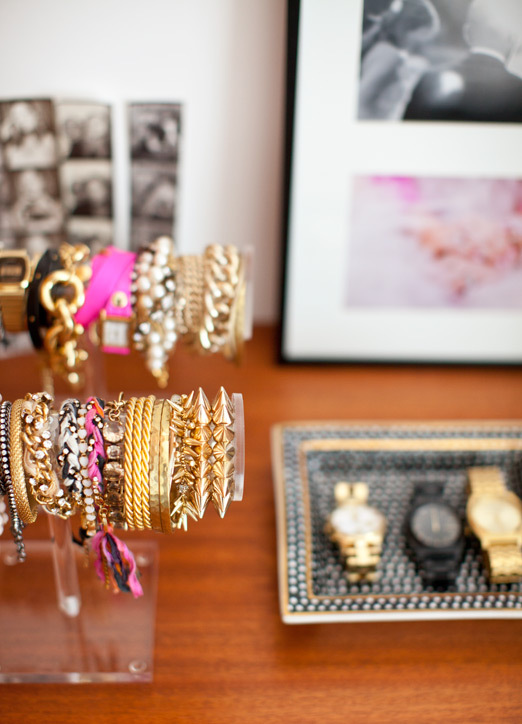 How can you display your necklaces, bracelets and earrings in a visually pleasing manor? 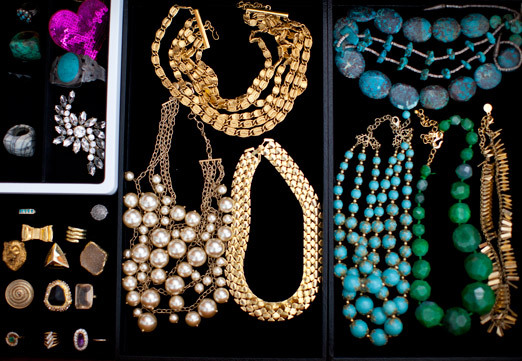 Use jewelry drawers and acrylic stands to make it easy to navigate through your favourite pieces. 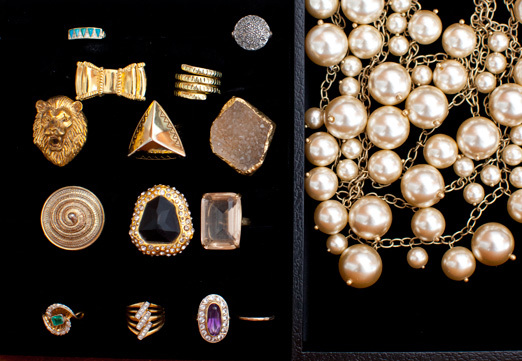 Jewelry drawers are the perfect solution! 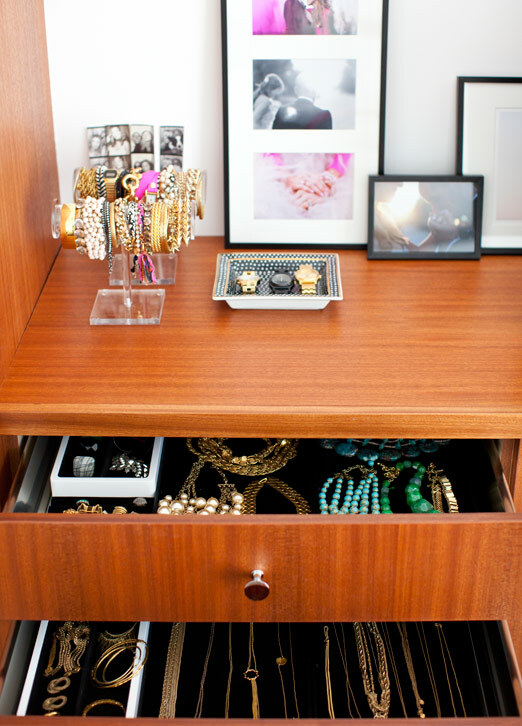 When finding the perfect dresser, make sure the drawers are shallow and line them your choice of fabric (I recommend a neutral coloured velvet to keep from items rolling around). Place your items right on the fabric and use dividers as you like. 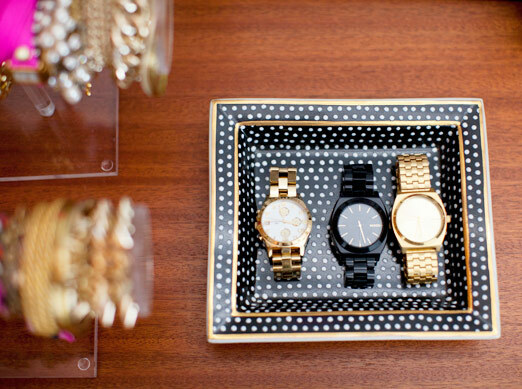 An acrylic bracelet stand (found here) and a decorative tray is a great way to display your favourite and most frequently used pieces. 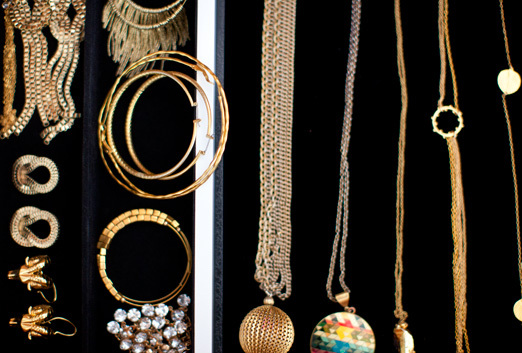 Plus, it makes your dresser look pretty!